There will be no economic growth and progress in Uzbekistan in the next ten years, since the new president Shavkat Mirziyoyev continues the path of his predecessor Islam Karimov ‘without political reforms,’ which the country needs as air. They must be carried out first; otherwise any other changes will be useless. 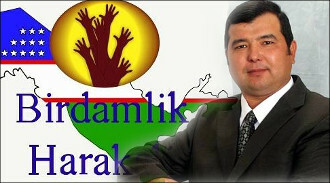 It was stated by the Uzbek opposition people's democratic movement ‘Birdamlik’ (‘Solidarity’) leader Bakhodir Choriev. In his paper, a full text of which is available in English, Mr Choriev outlines ‘Birdamlik’ plans to reform the economy of Uzbekistan in case of coming to power. The leader of the movement says that ‘Birdamlik’ founded on 10 April 2004 continues its peaceful and non-violent struggle against the existing ‘Karimov-Mirziyoyev system’ and assumed responsibility for carrying out political reforms in the country. ‘If we manage to establish really friendly relations with the USA and other democratic countries, to undertake political reforms in full and to open a way to other reforms, we think that the developed power, headed by the USA, will give us their helping hand,’ ‘Birdamlik’ leader believes. It is necessary to get loans of $200 billion within four to five years to make the first step towards progress. These funds will be spent on eliminating the consequences of the crisis, Mr Choriev explains. After that, it will be necessary ‘to put currency exchange and credit policy in order and to eradicate the black foreign exchange market. Banks of Uzbekistan will begin to exchange local currency freely. In a year, new currency ‘Turon’ will be introduced for circulation in the country. Why particularly this way of solving the problems of Uzbekistan and where it should lead the country you can find out by reading the full text of the article by Bakhodir Choriev in English. 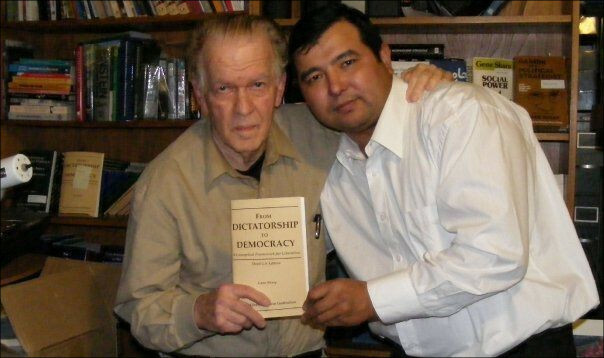 Bakhodir Choriev is a political émigré living in the United States dreaming to become the president of Uzbekistan. He was born on 31 October 1969 in Shahrisabz district of Kashkadarya region of Uzbekistan. In 1986 he entered the evening department of the Tomsk Polytechnic Institute and in vocational school No. 17 in Tomsk, which he graduated a year later. From 1987 to 1999 he worked as a radio engineer at the Tomsk ‘Kontur’ plant, served in the army. In November 1989 he married and raised four children. After return to Uzbekistan in 1999 he led the ‘Kesh’ joint stock company - a former livestock collective farm named after Kalinin. In 2001, charged with economic crimes he was sentenced to six years of imprisonment. ‘All the articles against me were fabricated, it was clearly an order. The authorities simply did not like my independence. For example, they demanded me to plant cotton saying it had been a state order, but I refused. Again, I did not give bribes. In Uzbekistan, a businessman with such behaviour will inevitably be behind bars, but alas I realised it only when in prison,’ Bakhodir said. Six months later, Mr Choriev was amnestied, and after prison he became a convinced opponent of the Uzbek authorities. He tried to organise protests against the actions of the Uzbek authorities, but after he was attacked by a group of unknown and severely battered Mr Choriev left the country and after a while received the status of political refugee in the United States. There he started cargo transportation company named ‘Kesh’. 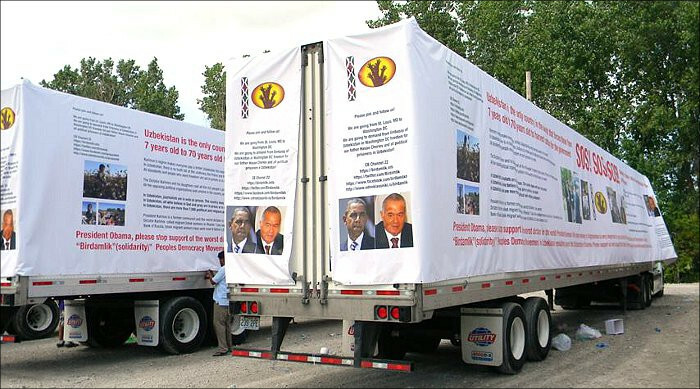 Several times he made attempts to arrange protest actions both in Uzbekistan and the United States, and periodically he publishes his proposals in the media on reforming his native country.